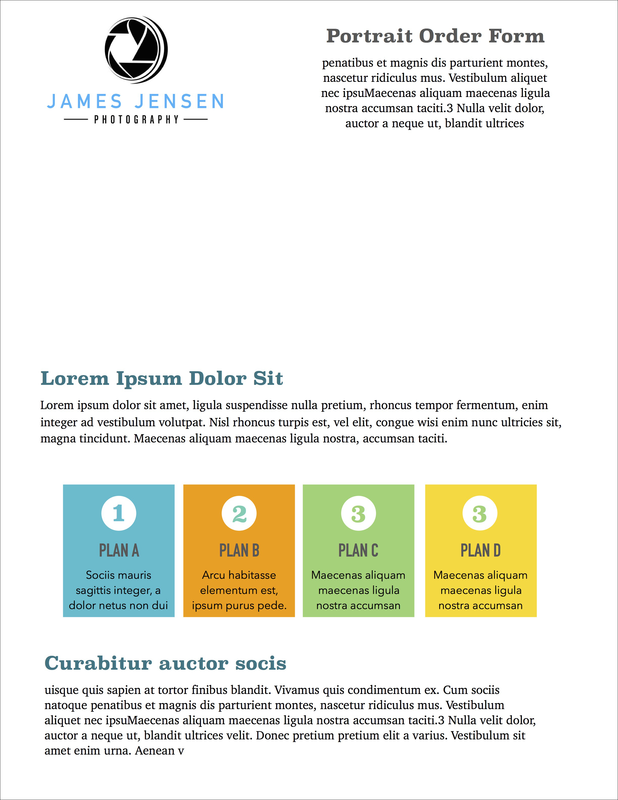 How do I create a paper proof template? Here's how to create a blank template to use for Paper Proofing. Your uploaded template must be a very high-quality JPEG with a resolution of 288 PPI. Lucid Press is great online design software that lets you quickly create and share stunning visual content. You can use the free tier to try them out and export your design as a 72ppi PDF. Then open the PDF in Preview,(or equivalent) and export from there as a 288ppi jpeg. Apple's Pages application also includes templates that can be good starting points when designing your proof sheets. 1. Design your form leaving a 2-inch horizontal band where you'd like us to add the Subject data. Make a note of the distance from the top of your page. You'll need to input this number when generating your proofs). Be sure to include your due date on the form and your website URL if you're not using the Studio Search Page. 2. 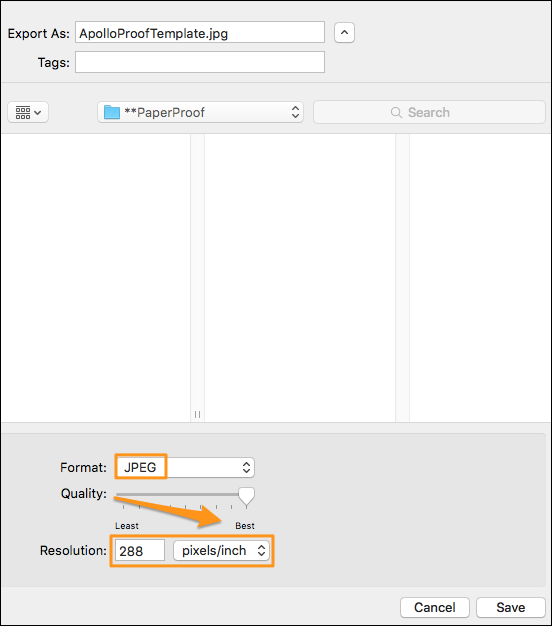 Open the PDF in Preview and export as a JPEG with 288 PPI. That's it! You can now Get Proof Sheets.